Working in collaboration with Victorian and Australian Government agencies, Port of Melbourne participates in, and contributes to, a wide variety of collaborative forums and exercises to strengthen and share expertise and knowledge to monitor and safeguard port infrastructure. 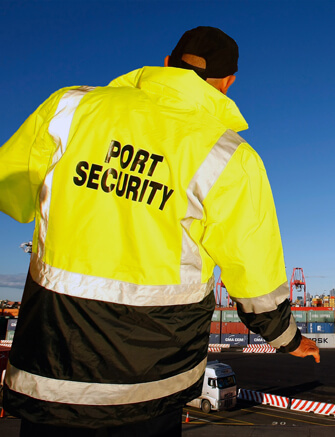 Port of Melbourne is responsible for all security related issues for terminals which it manages. For a visiting ship, a Port Security Officer, is responsible for implementing the agreed security measures and resolving any issues with the Ship Security Officer or Master.